School Facilities: Networked library, IB student lounge, specialty facilities for computers, science, physical education, home economics, music, fine arts, auto, wood and metalwork. Students can also access the new Langley Events Centre (ice rink, gymnasium and multi-use sports facilities. Special Programs: R.E. 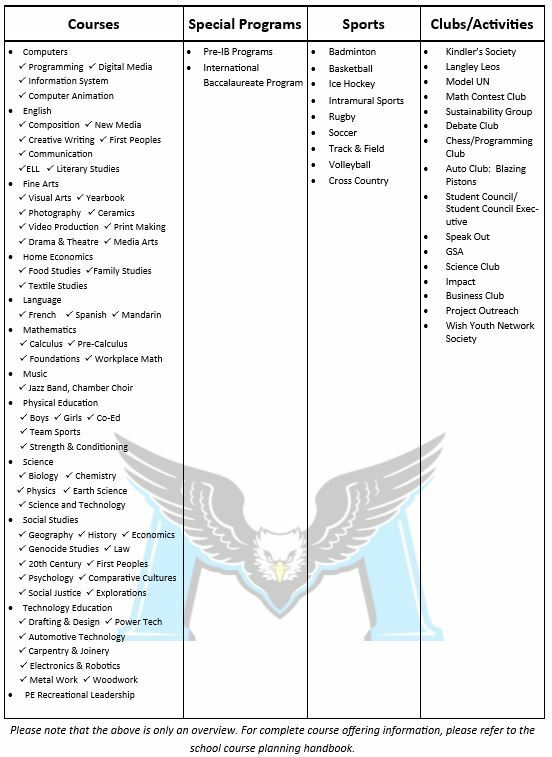 Mountain is the only school in Langley to offer the International Baccalaureate (IB) Program. This program offers a broad range of academically enriched courses, which meet rigorous international standards. 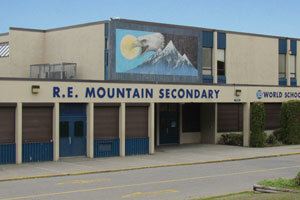 Mountain also offers Pre-IB for junior students.